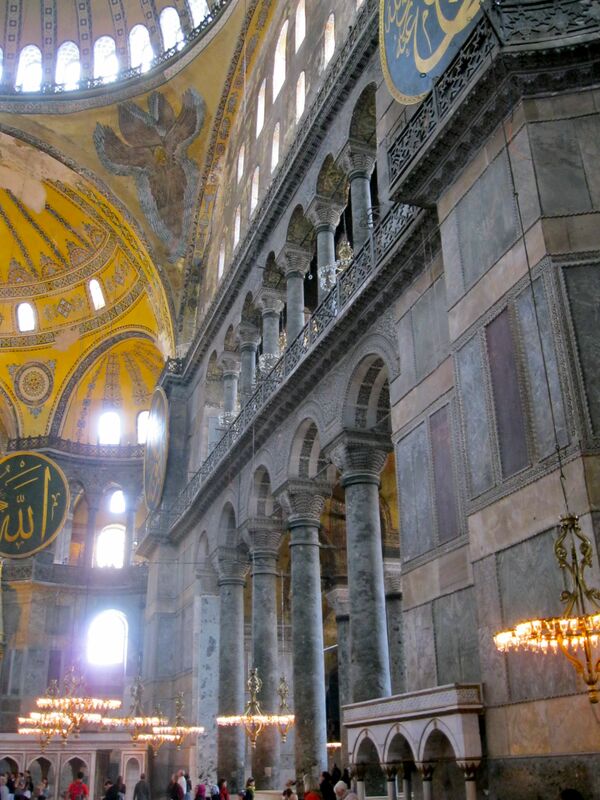 Hagia Sophia | Where is Yvette? 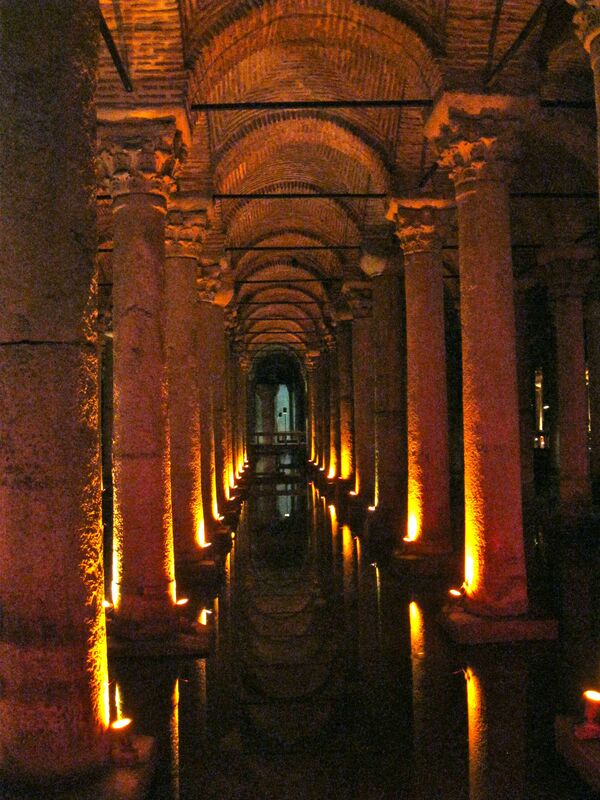 There are a few places in the world where the fabric of history stretches very thin, and it seems like you can peer through it and connect with the people from Eras Long Ago. It doesn’t happen very often because most of the time the ruins and relics seem too much from another era- I really enjoyed the Roman Forum, for example, but the fact that Caesar walked there seems more an intellectual exercise than reality- but every once in awhile you come across something that reminds you that history is filled with people just like you instead of just a story or abstraction. 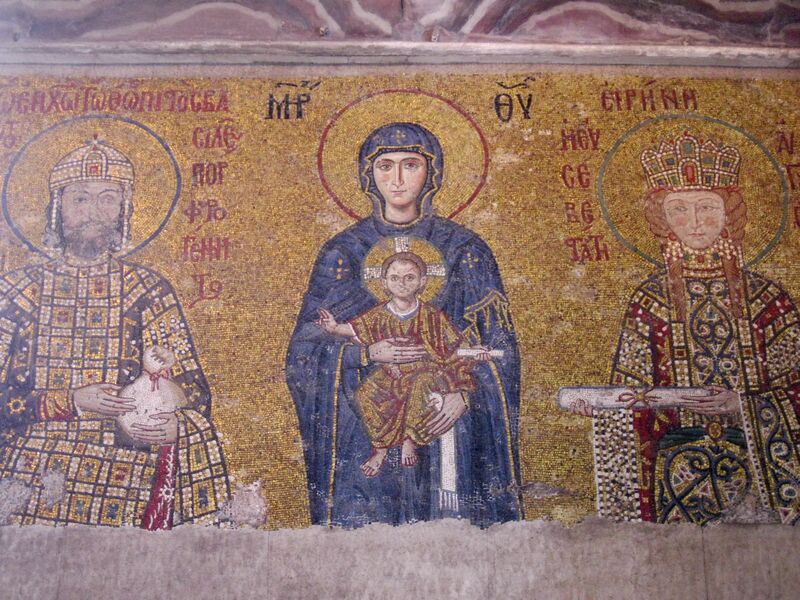 This is the church that was built in 562 A.D. by Byzantine emperor Justinian I (who massacred 30,000 people of an opposing sports team during a riot which created the room to build it, but still got to be a saint!) 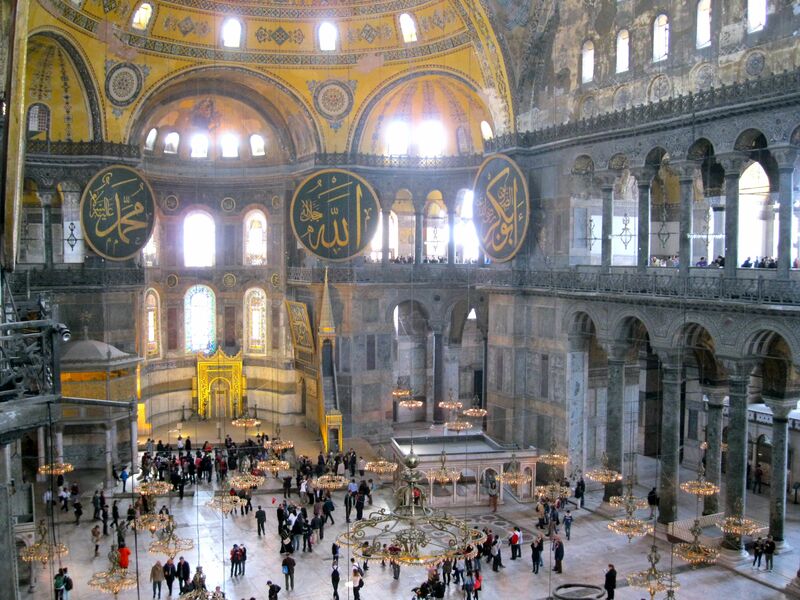 which was the largest church in the world for a thousand years and then became a mosque and is now a museum. I mean if this thing was built not terribly long ago you’d be impressed, but the fact that such a building from 1,500 years ago is still here for us to admire is astounding! 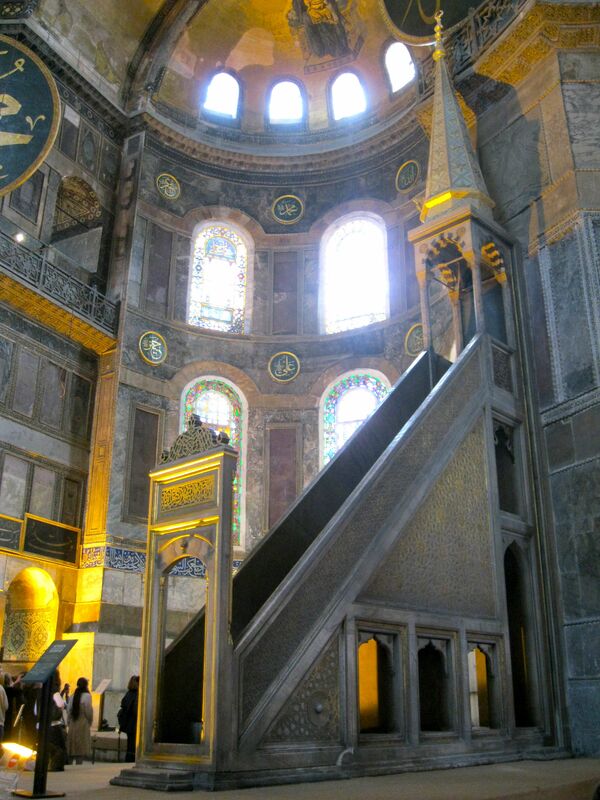 I honestly don’t know anywhere else in the world where you can see such a place in such good condition as Hagia Sophia. So many layers of history here… I spent about 4 hours just wandering around the place to take it all in. This is the place where you can see the spot where the Byzantine Emperors were crowned (they were more or less the Eastern Roman Empire for those who missed out on reading this awesome book) right next to the minbar where the Muslim imam delivered his sermons a thousand years later, where graffiti scratched on an innocuous upper rail are actually runes left behind by a Viking in the 9th century, where the mihrab niche showing the direction to Mecca is found under a mosaic of the archangel Gabriel and flanked by candelabras stolen from the Matthias Church in Buda during the 16th century. 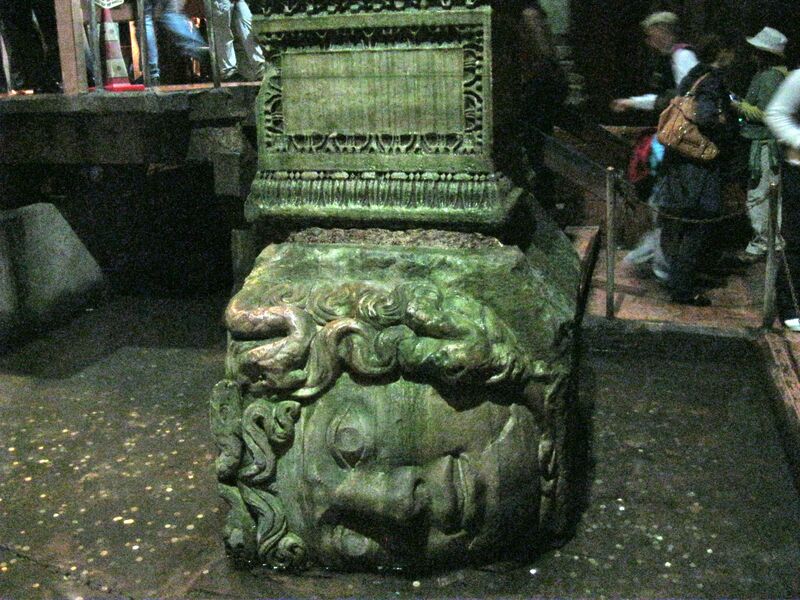 Anyway, what I took away from Hagia Sophia was a reminder of a story I read awhile ago about Vladimir the Great, ruler of the Kievian Rus’ people in the 10th century who later became Ukraine and Russia. The man was looking for a new religion for his people out of those of his neighbors, and each one had a problem- he didn’t think the Rus’ could embrace Islam due to its alcohol prohibition (stereotypes exist for a reason, people! ), he thought the Jews weren’t on the side of God due to how they kept losing Jerusalem and having bad luck all around (case in point), and in the Roman Catholic emissaries he found no beauty and instead dark churches with barely literate priests. 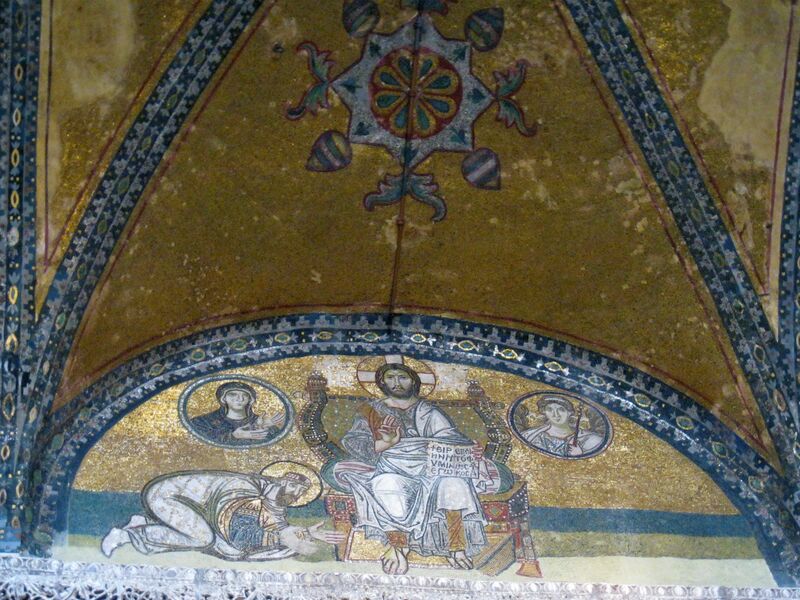 But then when Vladimir went into the Hagia Sophia in the middle of a festival ritual, the Rus’ were awed. 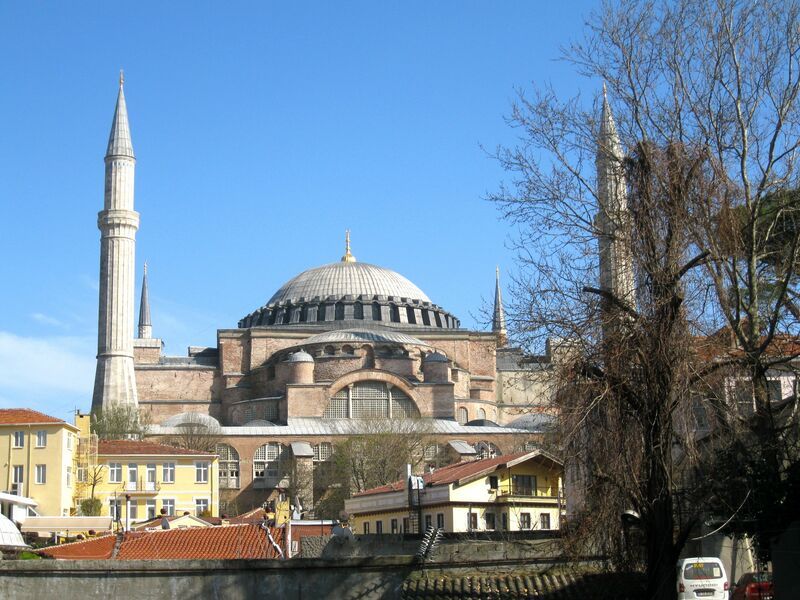 And that is why Eastern Europe follows the Orthodox Church- because the Hagia Sophia is just that awesome. Frankly I don’t know a single person who’s gone into that building and not believed it. I am so dazzled by your writing and photos. Superb. Great pix!! I visited the HS in 1998 and absolutely enjoyed seeing it. It took me back to all my history classes in high school. A truly magnificent building.